India can be a busy, crowded, and thrilling place to explore – but don’t forget to carve out time to relax and recharge between the high-energy touring about town. If you ask us, there’s no better way to unwind than with a good bit of pampering – and at these five luxurious hotel spas in India, you have more than just a massage and facial menu to choose from (think salt rooms, hamams, and even Himalayan views). Enormous, extraordinary, and at times overwhelming, New Delhi is a city to dive into…and then resurface from. After you’ve spent time exploring India’s evocative capital, treat yourself to a luxurious stay just beyond the city limits. Just over an hour’s drive from the centre of Delhi, the ITC Grand Bharat is nothing if not palatial, and its spa, the Kaya Kalp Royal Spa, follows suit. 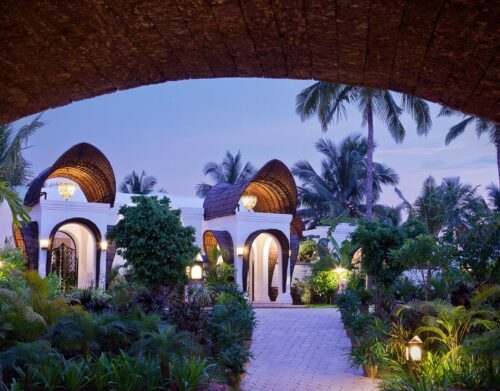 Spread across nearly 2,000 square metres, the retreat comprises a hamam, nine private rooms, and treatments that pull from both Western and Ayurvedic traditions. 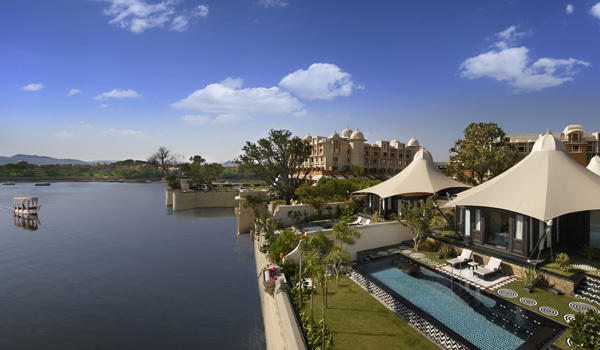 The Leela Udaipur is a bastion of luxury in the heart of Rajasthan, and its reputation is cemented by its Spa by ESPA – undoubtedly one of the best hotel spas in India. 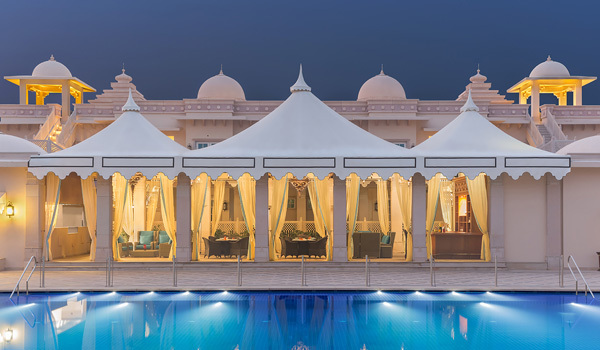 Overlooking Lake Pichola, the sprawling facilities comprise open-air plunge pools, romantic couples’ suites, and even private spa tents for maximum relaxation. Signature treatments include everything from holistic massages with hot stones to invigorating salt and oil scrubs. No matter which you book in, though, don’t miss the Aroma Steam Rooms, which are accented with amethyst stones. 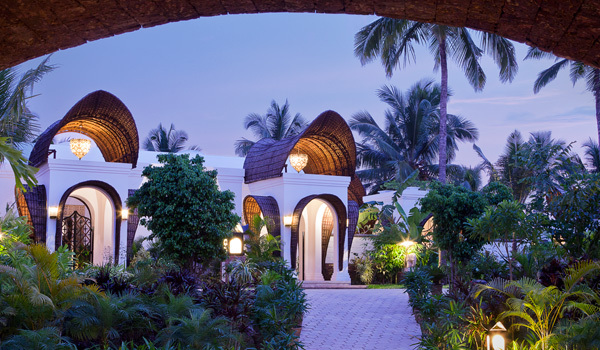 Located in the north of Kerala – just off the Arabian Sea coastline – the Vivanta by Taj, Bekal further cements this southern state’s reputation for restorative retreats. Here, the colossal Jiva Grande Spa ranks among the best in Kerala for its scope and the quality of its offerings, which range from purifying bathing ceremonies and Ayurvedic treatments to yoga classes and meditation pavilions. And beyond the spa, this destination hotel also offers memorable local experiences, from kayaking sessions to sunrise biking trips. Located in the foothills of the Himalayas in the northern state of Himachal Pradesh, Wildflower Hall offers guests dramatic views of the breathtaking landscape. 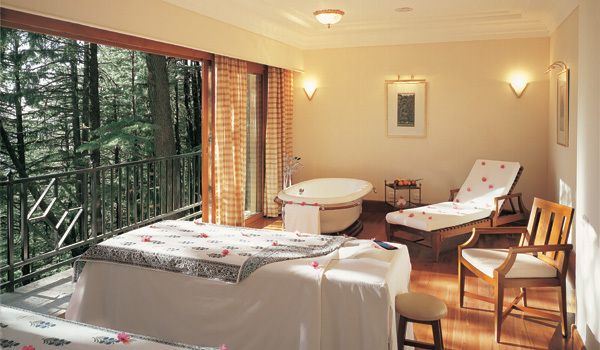 It also offers uniquely Himalayan visions of pampering, thanks to treatments that take place both indoors and out (all the better to marvel at those peaks). If you visit during the chillier months, Wildflower Hall’s indoor spa facilities are no less impressive – its chandelier-lit indoor pool is well worth relaxing in, as are its signature, rose water-scented specialty baths. After a getaway that combines urban thrills with quiet relaxation? 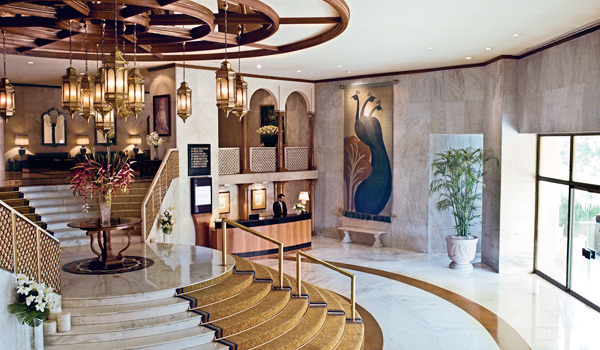 Consider booking into the Taj Palace Hotel, one of New Delhi’s grandest hotels – and also home to one of the most luxurious hotel spas in India. Recently revamped to include a new vitality pool and salt room, the retreat also offers steam rooms, yoga, and an extensive Ayurvedic treatment menu, for those who want to dip more than just a toe into this ancient Indian healing regime.